This April 15, 2011, file photo, shows a bottle of Johnson's baby powder. A Southern California jury has ordered Johnson & Johnson to pay more than $25 million to a woman who claimed in a lawsuit that she developed cancer by using the company's talc-based baby powder. Jurors on Thursday, May 24, 2018, awarded $4 million in punitive damages after finding that Johnson & Johnson acted with "malice, oppression or fraud." A California jury delivered a $25.7 million verdict against Johnson & Johnson in a lawsuit brought by a woman who claimed she developed cancer by using the company's talc-based baby powder. Jurors in Los Angeles recommended $4 million in punitive damages Thursday after finding the company acted with malice, oppression or fraud. A day earlier, the panel called for $21.7 million in compensatory damages for plaintiff Joanne Anderson, who suffers from mesothelioma, a lung cancer linked to asbestos exposure. Johnson & Johnson was assigned 67 percent of the compensation payout, with the rest distributed among other defendants. New Jersey-based Johnson & Johnson said it's disappointed in the decision and will appeal. "We will continue to defend the safety of our product because it does not contain asbestos or cause mesothelioma," Johnson & Johnson said in statement. Anderson, 66, claimed Johnson & Johnson failed to adequately warn consumers that its powder contains asbestos and could cause cancer. Johnson & Johnson "engaged in a multi-decade campaign wherein they hid testing data" from regulators, altered reports to make them more favorable and lied to consumers, said Chris Panatier, one of Anderson's trial attorneys. Similar allegations have led to hundreds of lawsuits against the New Jersey-based company. Jury awards have totaled hundreds of millions of dollars. Last year, a judge in Los Angeles tossed out a $417 million jury award to a woman who claimed she developed ovarian cancer by using Johnson & Johnson baby powder for feminine hygiene. The judge granted the company's motion for a new trial, saying there wasn't convincing evidence that Johnson & Johnson acted with malice and the award for damages was excessive. 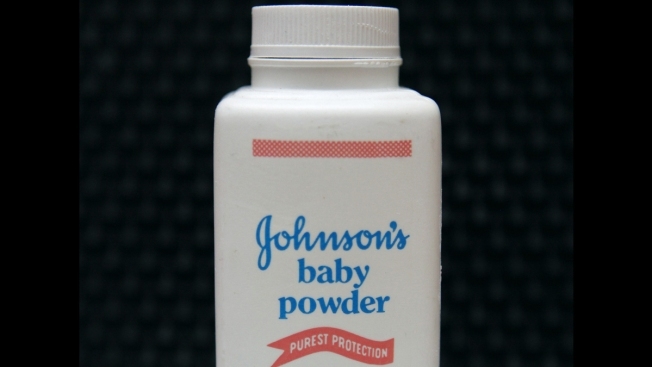 "Over the past 50 years, multiple independent, non-litigation driven scientific evaluations have been conducted by respected academic institutions and government bodies, including the U.S. Food and Drug Administration, and none have found that the talc in Johnson's Baby Powder contains asbestos," the company said Thursday.